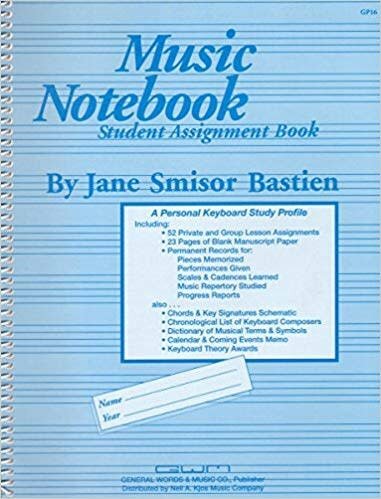 With this book, students can track their learning, keeping detailed progress and practice records, plus permanent records for pieces memorized, performances given, scales & cadences learned, and music repertory studied. It's a valuable communicator for teacher, student, and parents. Includes a handy reference section and 23 pages of manuscript paper.